With plenty of festivals under my belt and the bargain hunter gene running though my veins, It’s only fair to share my festival hints and tips with the rest of the world. So, if you’re looking to stay fabulous on a budget this Summer, this little festival guide will be your nifty go to check list for creating that super sassy style, without breaking the bank! Online shop apps are a goldmine for previously owned festival buys that have most likely only ever been worn once, but are listed for sale a fraction of the price! Give the search function some abuse and you’re well on your way to picking up some cool & quirky garms. Not in the market to buy? 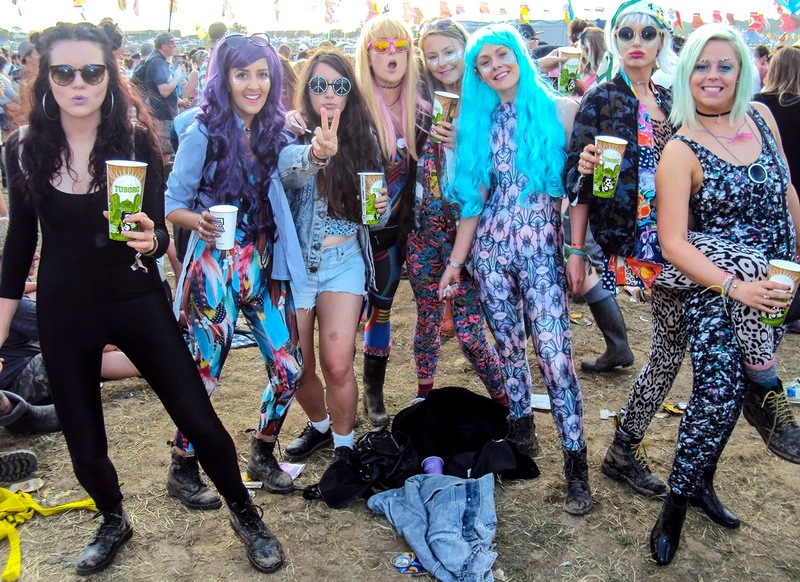 List your own festivals pre loved items from previous years & use the cash for your spends on your next festival. If you’re a blogger, it’s definitely worth asking companies who you work closely with if they’re looking for festival collaborations or discount codes. Taking advantage of all the festival weird and wonderful sights, definitely makes for great content. Win win! Feeding yourself at a festival can be quite expensive! I usually take half my food amount in the form of instant noodles and let myself enjoy the rest of my meals from tasty food venders once we’ve ventured out the tent. Definitely look for food and drink offers on around the festival or even before you go! Promotions are always going on around the place and you can often bag yourself a good deal if you can be bothered to find them! Every year I purchase a couple a couple of concentrate cordial pocket size bottles to take with me. These have been a life saver when for when water just doesn’t qunech that thirt. My friends often use them as a mixer for their drinks to save them from carrying heavy bottles of cola/lemonade into the festival! Don’t buy expensive rain macs. More often than not, most aren’t waterproof (I’ve learnt from past experience) and they become really annoying to carry round once the rain disappears or you’re dancing away in a tent. You can pick up some disposable ponchos for around £2.50 for a pack of 5. Bargain! Go over your daily routine in your head when you’re packing and imagine yourself going through the process of each item/product you use. This can be your mental check list to make sure you’ve got everything!